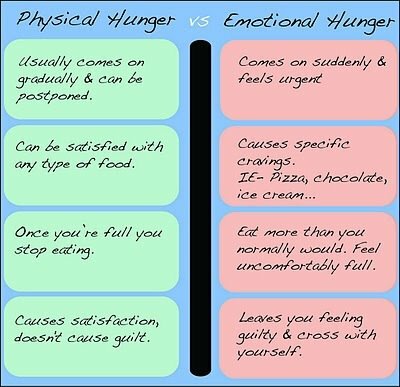 A co-worker of mine shared this on Facebook (never mind that we are both on Facebook while at work) and according to this chart, I am mostly (if not always) emotionally hungry! This is so true for me! I've been extra tired this week, and I've been craving all the worst foods!